God, really. 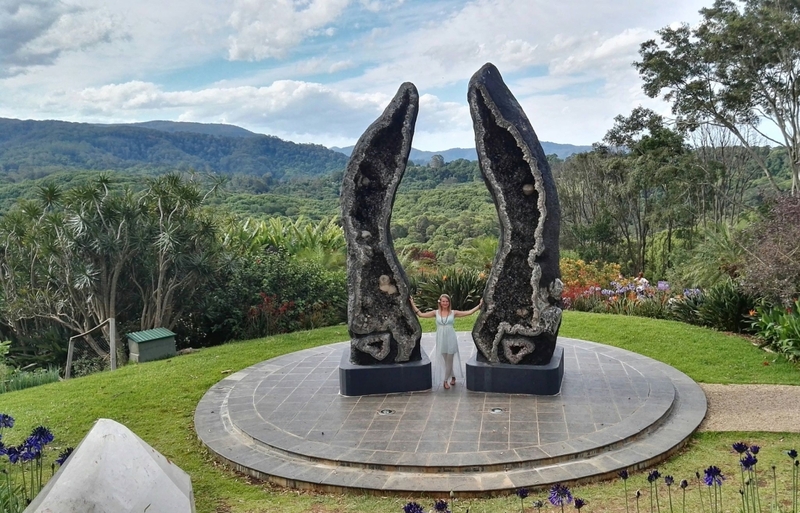 It’s a must-go… the yoga capital of Australia and a modern-day version of the hippie-times, this charming, eclectic town and in fact the whole area of Northern Rivers is something you will never forget. The experience always leaves an impact! A home to talented artists in the streets, both refined and expensive as well as cool and amazingly cheap restaurants, lovely shops, OP shops, beaches, surfers, backpackers, shamans and healers from all around the world, it is the Mecca of the “alternative styles” disciples, New Age enthusiasts and boho fashion lovers. The way of living here is laid-back, hippie-like, spinning around house-sharing (sometimes even if you are married but without kids yet), road tripping (Gosh, those lovely vintage hippie vans! ), camping, surfing. The “aussi beach life” you have seen in movies and have been dreaming of ever since but doubting that it was real IS THERE. In that particular area, the dreaming begins, and spreads up north to Queensland´s Golden Cost, Sunshine Coast and all the way up Cairns. This is what you want to live! 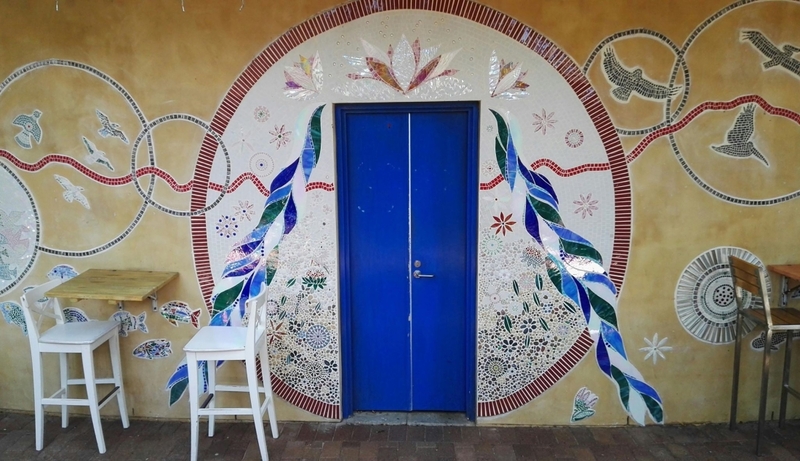 This easternmost part of Australia is a perfect location for those who like alternative healing, yoga, permaculture, eco-friendly projects and the new trends such as upcycling. There is a great number of freelancers and day labourers in the area whose idea of good life is not represented by a nine to five job, and who prefer time on their hands over being arrivistes. 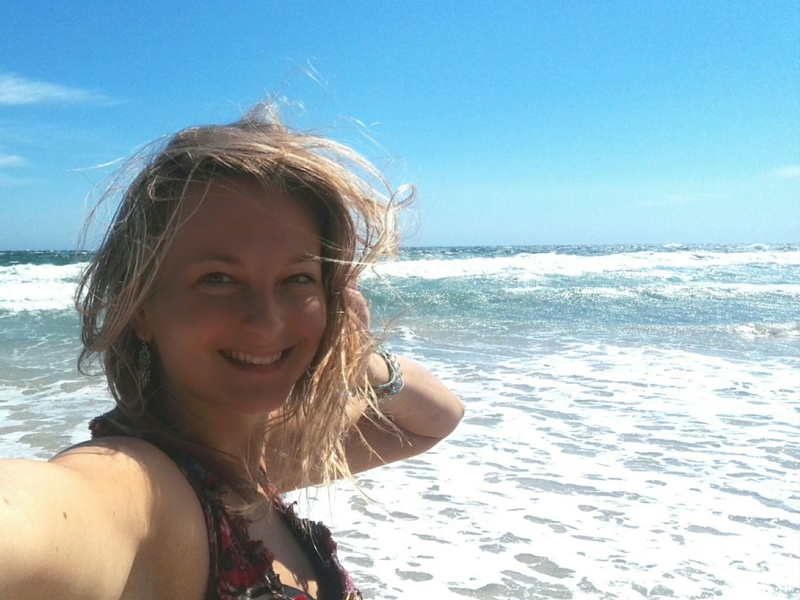 As a traveller, you find a great number of couchsurfing hosts, airbnbs, as well as affordable and cool hostels some of which offer free accommodation to backpackers (and a bicycle to get around) in exchange for easy work of a few hours per week. You can have your lunch or dinner for circa ten dollars in Beloporto Burger Bar or choose a fancy place such as Treehouse on Belongil if you are willing to pay double the price. Walking down and up the main Jonson street you see many cute and cool shops (such as the Rainbow shop) where you can buy anything from healing crystals to crocodile leather bracelets, tie-dyed clothes and fleece jewellery. If you are keen on organic and bio products, you can do your shopping for food at Fundies´, and if you are on budget you can get your stuff at Woolie´s. If you are a wealthy (Or should I say slightly posh? 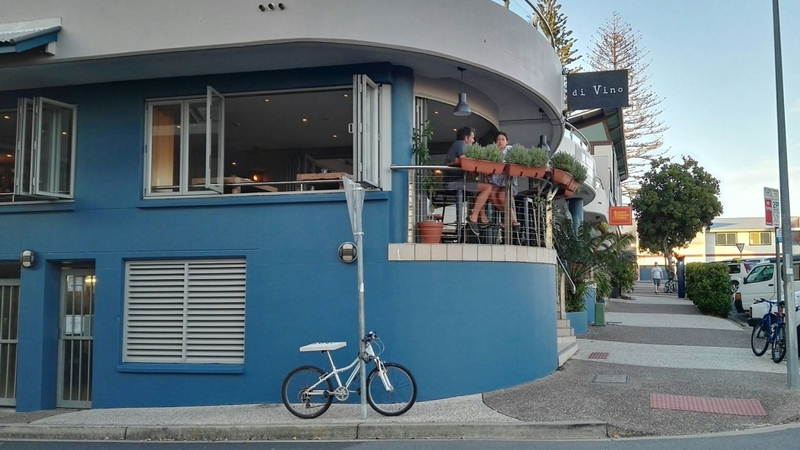 ), alternative-keen yet peace-and-quiet lover who does not need their house located right at the beach, you might prefer staying at Bangalow, “a unique, historic town with a modern style” (as it claims on the town web page) rather than Byron. 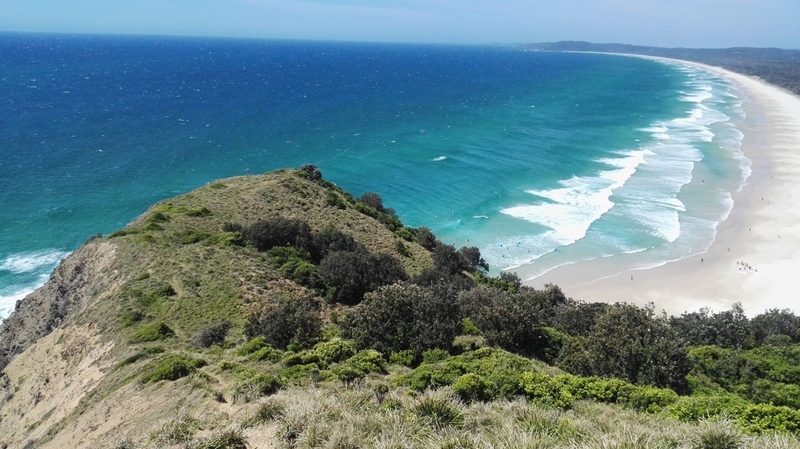 It is located just about 16 km away from Byron, on the way to the World Heritage-listed rainforests and green valleys of the Byron Bay Hinterland. 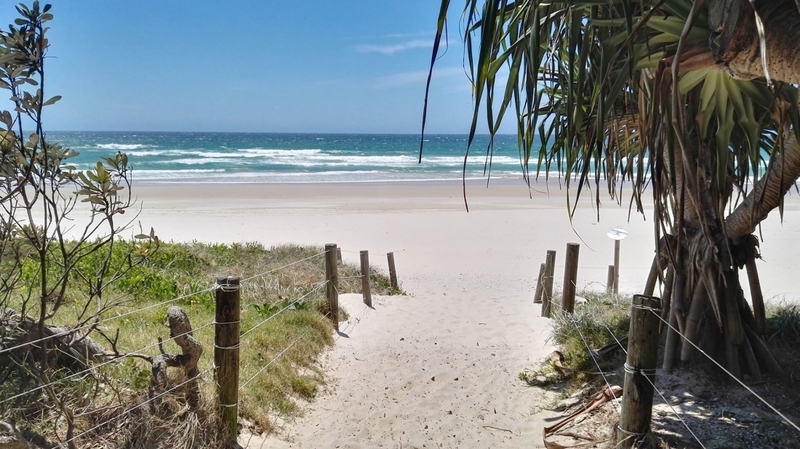 Indeed, the Byron Bay Hinterland is a largely explored gem for visitors to the Northern River’s Region which offers sub-tropical rainforest walks and spectacular scenic views as well as numerous local villages with cool little pubs and cafes. 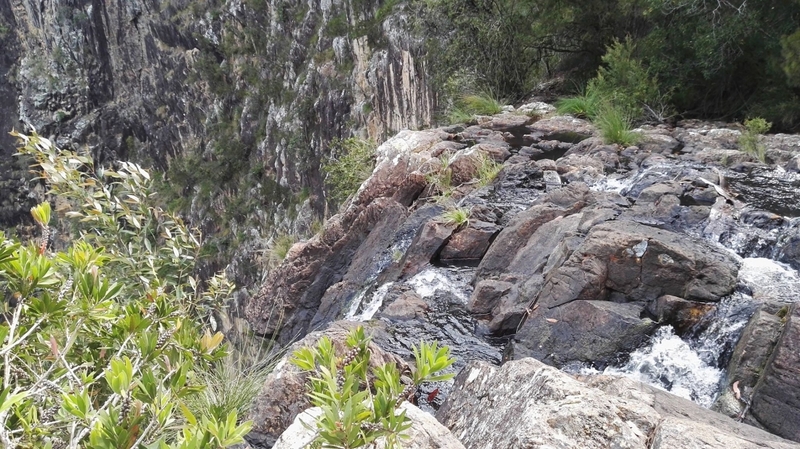 I myself enjoyed a hike to the Minyon Falls and Protesters Falls, both located in the Nightcap National Park, which contains many ancient sites of cultural significance, including ceremonial and sacred sites that are still used by local Aboriginal people today. From the top of the Minyon Falls you get some marvellous landscape views and you might take your chances, climb over the fencing and dive into the deep swimming holes and pools that are created naturally on the river stream which falls over the precipitous rock face just a few metres away from where you might be bathing. The hike to Protestors Falls was another great one, leading through lush rainforest to a tall, wispy waterfall. As you walk along this easy track, you’ll notice how subtropical bangalow palms and native tamarind give way to towering rainforest giants of yellow carabeen and strangler figs. You can hear the call of the rose-crowned fruit dove and the barred cuckoo-shrike and encounter a range of endangered frogs, including the threatened Fleay’s barred frog and pouched frog. Paradoxically, though, the history of the area is coarse and gloomy, spiritually burdensome. The place started out its Anglo-Saxon version of life as an antithesis of spiritual healing – through the genocide of the native people. The land was then steadily plundered as its cedar forests were ripped out for farms. Later, the gold miners moved in causing dreadful erosion to the beaches. By the mid of the 20th century it had become the main whaling station in Australia. The stench was said to be unbearable. Just in the late 60´s Californian surfers started discovering the magnificence of the place. By the 1970’s the hippies began to move in. 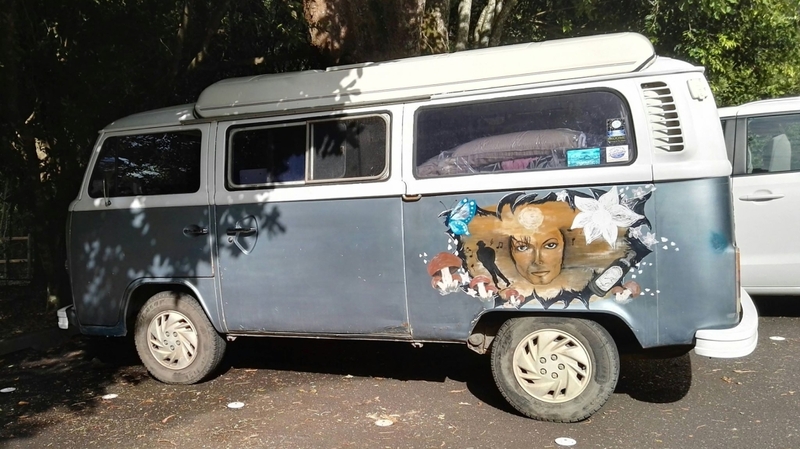 The turning point was marked by the Aquarius Festival (counter-cultural arts and music festival organised by the Australian Union of Students) held in Nimbin in 1973. 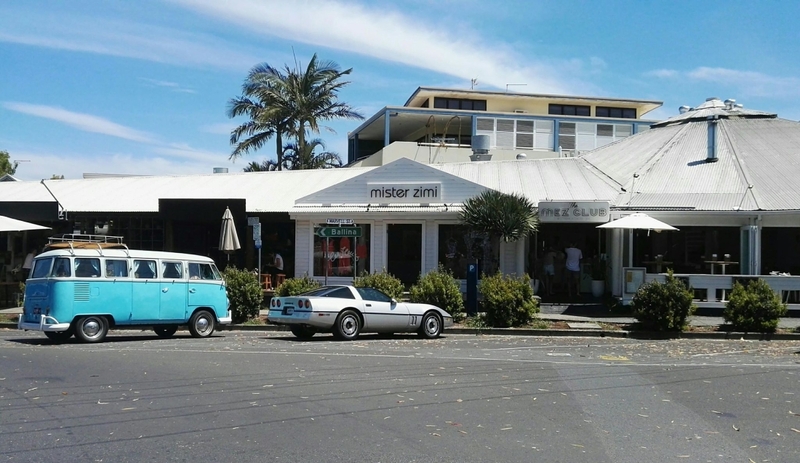 Today, Byron hosts a great number of music, arts and healing festivals throughout the year. It offers something for everyone, whether it is a physical adventure such as learning to surf at Wategos (among the best beaches in the world for beginner surfers), kayaking with dolphins, hang gliding, horse riding along the 7 mile beach stretch or perhaps just taking advantage of the many spas and retreats in the area. About 65% of the world´s production of Macadamia nuts comes from the area of the Northern Rivers. Drug experimenting, whether it includes plant medicines or synthetic drugs of various kinds, is common in the area. 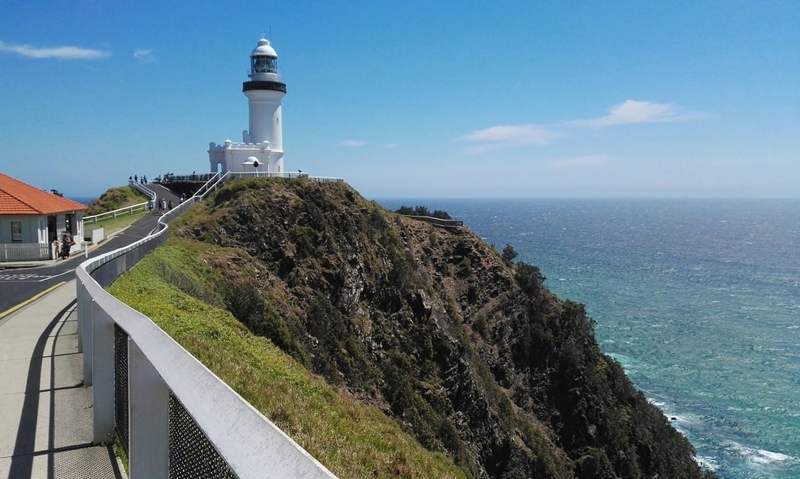 Byron Bay lighthouse gives you a chance to take some breathtaking pictures thanks to its location high on the cliffs and the 360-degree view. Dusk is a special time to visit – you can enjoy the subtle light changes accompanied by raucous birdcalls rolling over the cliffs. If you are reluctant to pay the 8 dollar parking fee, just park your car half-way up the hill or below the hill and enjoy the walk up. 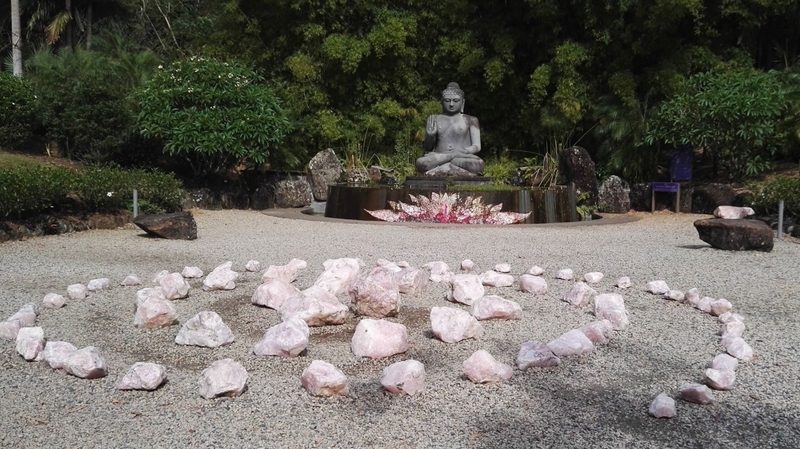 Located in the Byron Bay Hinterland, there is the amazing Crystal Castle. This tranquil and magical sanctuary is a home of the world’s largest and most beautiful natural crystals. With its peaceful ambiance and exquisite natural splendour, it is a place of great energy and wonder crowned by the World Peace Stupa blessed by the Dalai Lama. 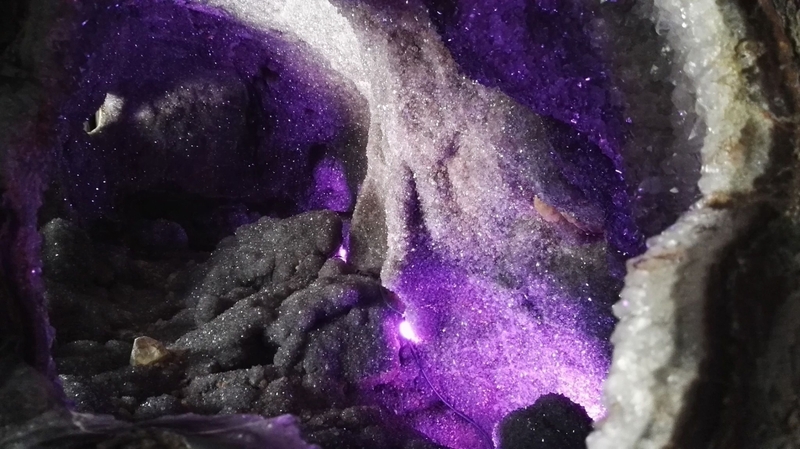 You can be immersed in the magic of the Enchanted Cave (the largest amethyst cave in the world), or perceive the healing energy of the world’s tallest geode pair – The Crystal Guardians. You can find yourself in an ancient labyrinth, try out the Buddha Walk or listen to the whispers of the trees in the bamboo avenue. There are daily workshops offered, including sound healing ceremonies and the famous Peace Experience, which includes a crystal bowl sound bath.